Are you ready for Apple’s next release? New versions of Apple’s operating systems are coming soon, are you ready? If you upgrade to Jamf Pro 9.98, the latest release from Jamf, you’ll be more than ready. When Jamf customers upgrade to the latest Apple operating systems, IT administrators can be confident their mobile device management (MDM) workflows won’t break (not to mention end users will be delighted to take advantage of new features the day they’re available!) Apple’s Spring 2017 releases of macOS 10.12.4, iOS 10.3, tvOS 10.2 are chock-full of new management capabilities; all to drive industry transformation for businesses, schools, healthcare and other industries. Read on for your guide to what’s new. 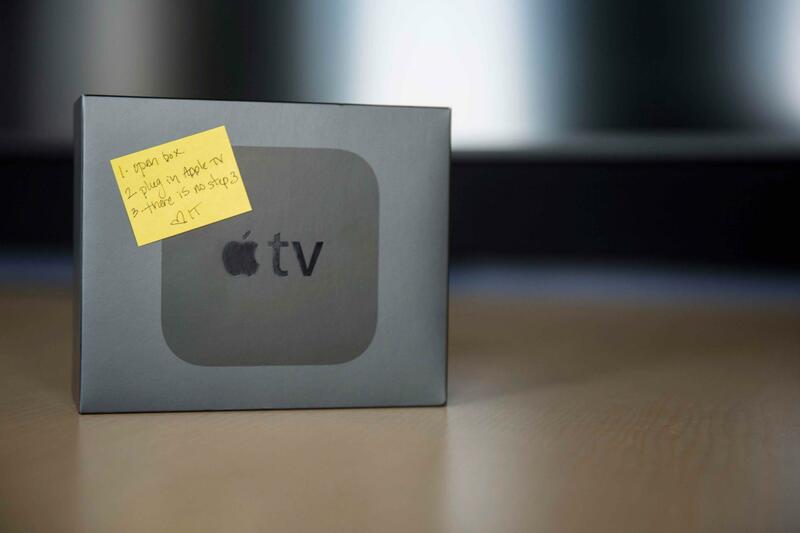 The release of tvOS 10.2 introduces Apple TV support for Apple’s Device Enrollment Program (DEP), and when combined with Jamf Pro 9.98, the simplest zero-touch deployment of any Apple device. For the first time, organizations can automate the setup process for any number of new Apple TV devices using Jamf Pro and DEP. Simply connect the Apple TV to power, Ethernet or HMDI, and as the device turns on, the Apple TV will automatically proceed through the setup screens, enroll, and inherit any configurations that have been applied in Jamf Pro 9.98. It’s zero-touch deployment in less than 60 seconds. This is all done via new device management capabilities in tvOS 10.2 with Jamf Pro, including remote configuration and custom app distribution. Businesses and schools can set up and manage Apple TV just like they do iPhone or iPad, which means they can not only mass deploy Apple TV with ease, but create a seamless and interconnected experience between Apple devices. Configure Wi-Fi and passcode settings, remotely wipe or restart any Apple TV, anywhere, over the air. Place Apple TV in Single App Mode, Conference Room Mode, or even deploy a custom in-house app for full control over the on-screen experience. And with new AirPlay permissions enhancements in Jamf Pro, limit which Apple TV devices display on an iPad or iPhone, making it faster and easier for end users to connect. From enabling seamless wireless presentations to remote management of lobby displays and digital signage, Jamf Pro does it all. U.S federal government, international, and security-focused organizations can strengthen macOS security and eliminate the need for 3rd party smart card authentication tools. Jamf Pro 9.98 and macOS 10.12.4 enable organizations to enforce smart card compliance. IT can configure Macs to require smart cards for log in, limit smart cards to one per user, and more. 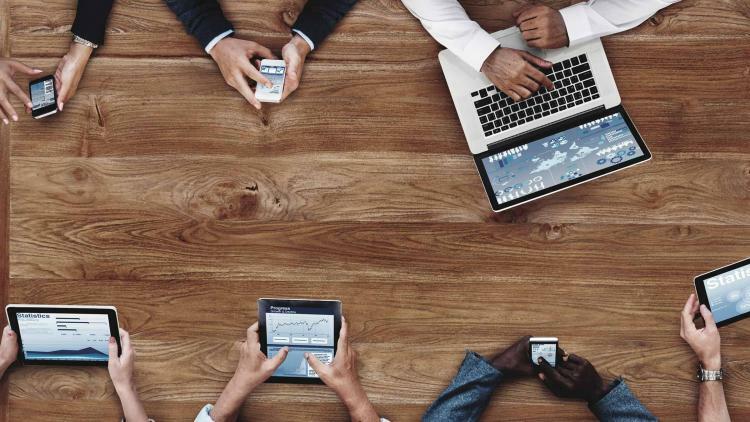 With the Symantec PKI integration, organizations get a more efficient and secure way for users to access company resources. Jamf Pro 9.98 natively integrates with the managed Symantec PKI to automatically issue and report on certificates directly within Jamf Pro, eliminating the need to go to separate places to issue Symantec PKI certificates. Security-centric organizations can disable the ability to unlock macOS devices with Touch ID to uphold security and compliance, or enforce corporate passcode requirements, or even restrict documents and desktop syncing with iCloud to safeguard sensitive documents and data from being shared externally. Enable Lost Mode on an iPad to lock and play a sound for easier recovery of lost or stolen devices. Prevent users from connecting to unmanaged Wi-Fi networks by limiting which Wi-Fi networks display to iOS devices. Remotely shut down or restart an iOS device or group of iOS devices anywhere, anytime. Continuing our commitment to education, Jamf is excited to deliver new capabilities to support Apple School Manager, Shared iPad and Apple’s Classroom app. 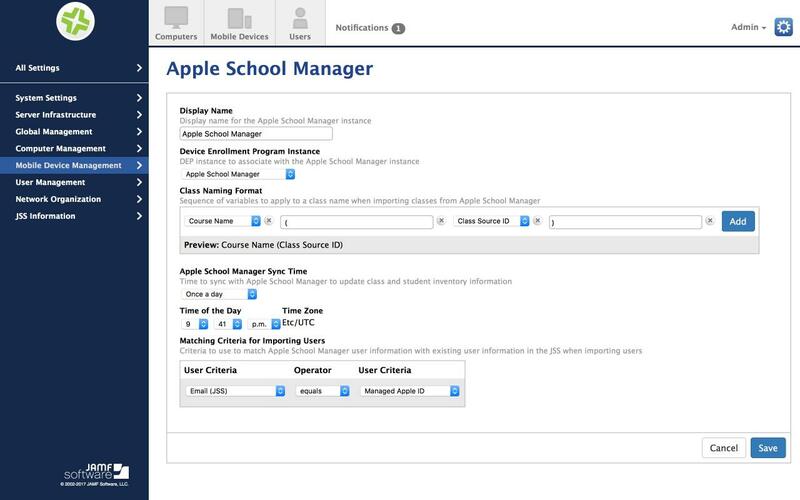 Unique to Jamf Pro 9.98, schools using Jamf Pro for Apple School Manager integration can now configure a customized class-naming format and append a class description to classes imported from Apple School Manager. Regardless of which SIS a school uses, you can deliver meaningful, clean and easy to understand class information to teachers and students. Schools using or evaluating Shared iPad from Apple can also further customize the student experience by defining student passcode types and passcode lock grace periods. If a teacher locks all devices to capture a student’s attention, they get a couple minutes for students to log back in. Schools and other organizations will also be excited about on-the-go class creation with Classroom 2.0, the latest version of Apple’s Classroom app. Classroom 2.0 unlocks instant access to powerful teaching tools for ad hoc classes and meetings. With teacher and student file sharing using AirDrop and the ability to mute student iPads to limit distractions, organizations gain an easy way to create engaging learning experiences with Jamf and Apple. Jamf is excited to offer zero-day support for these new macOS 10.12.4, iOS 10.3, tvOS 10.2 features when they become available. Check out the Jamf Pro 9.98 release notes for a complete listing of what’s new! The Jamf Pro 9.98 release is already available to Jamf customers. Get your upgrade here. Cloud-hosted customers will be upgraded automatically. Contact us to learn how Jamf Pro 9.98 can help you achieve your most important objectives. You can also start with a product demo to see what Jamf Pro can do. Or speak directly with one of our product experts. You’re going to love it!